Croatia: The emergence of anti-establishment Europeanists? 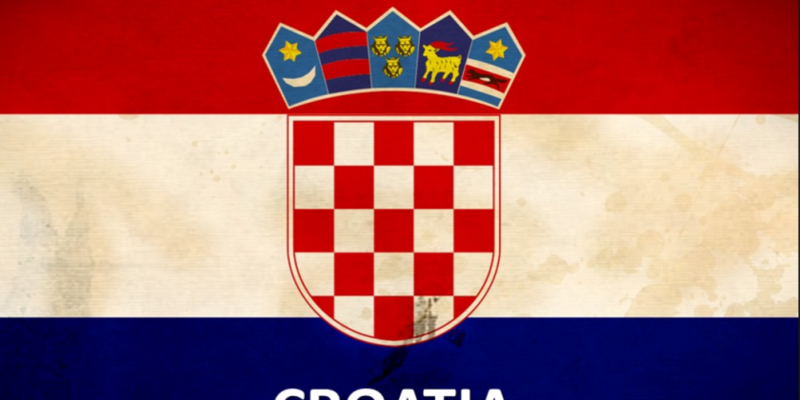 In the country’s first parliamentary election since joining the EU in 2013, Croatia goes to the polls on November 8th 2015. Following in the steps of numerous other European countries, the result highlighted an undeniable change in traditional voting dynamics, and the rise of an anti-establishment sentiment. The two mainstream coalitions, headed by the incumbent centre-left SDP and centre-right Croatian Democratic Union (HDZ) end up in a dead heat, earning respectively 56 and 59 seats and putting the newly born MOST Nezavisnih Lista party, with its 19 seats, in the position of acting as a coalition kingmaker. After having been the ruling party for 6 of Croatia’s then 7 parliamentary assemblies, the HDZ loses the 2011 elections to the SDP following a corruption scandal involving the prime minister Ivo Sanader. The SDP wins by promising to address – transparently – the economic woes of the country and introduces several liberal tax reforms in an attempt to cope with the difficult economic situation, despite which Croatia faced several cuts to its credit to the point where, in 2014, the country was considered as a potential bailout candidate. The annual average unemployment rate in 2014 reaches 17.3%, the third highest unemployment rate in the European Union, after Greece(26.5%), and Spain (24.%). In preparation of the 2015 election, the campaigns of both parties were mostly dominated by antagonistic rhetoric and bipolar blame-games rather than programmatic differences. Whilst the SDP embraced an anti-austerity rhetoric, argueing the need for continuity in order to reap the results of a budding recovery (2% GDP growth forecasted for 2016), the HDZ championed a more nationalist stance and a tightening of border controls in the ambit of the refugee crisis. Yet, both distinctively adopt a pro-european and pro-euro positioning and sit comfortably within the liberal economy paradigm. Within this context, MOST Nezavisnih Lista is born. Founded on November 17th 2012, the party’s name literally translates to ‘bridge’ – an explicit reference to the nature of the movement itself. Composed of people from diverse political backgrounds, from the right to the left of the political spectrum and often at their first experinece in politics, MOST is a heterogeneous grouping brought together by founder and leader Božo Petrov, a 36 year old psychiatrist and mayor of the southern Croatian town of Metkovic. With no previous party experience he spent his mandate as mayor slashing the city’s debt by a half, cutting the salaries of his associates and himself down to the legal minimum, and implementing a transparent system of public spending. Characterised by a political ambivalence which seems to be gaining traction in European politics as of late, Petrov refuses the label of a centre to centre-right party, claiming instead – “I would really like for someone to finally define what is left and what is right in Croatia”. MOST, which has tapped into voters’ dissatisfaction with the failure of the two main parties to tackle Croatia’s economic woes, has said it will only support a government that is serious about reforming the country’s bloated state sector, cutting its large debt load and improving the business climate. In an unprecedented political situation, both the HDZ and SDP declared being willing to make huge concessions with regards to the choice of Prime Minister, a situation which prolonged coalition negotiations for over 40 days. After a period of widespread understanding that MOST could swing just as easily either way, the independents announced they would be backing an HDZ-led government, granting the conservatives a slim majority of 78 seats, and nominating Croatian-Canadian businessman Tihomir Orešković as Prime Minister. A raging migrant crisis, a weak economy and unemployment at 15.4%, will usher the new HDZ government into its 7th mandate. The party’s stated priorities are mostly euro-centric: the entrance into the Schengen Area, the adoption of the single currency and the supporting role of Croatia in favour of a new wave of European enlargement. Yet, the biggest challenge for the government will remain the shaky grounds upon which rests its coalition with the heterogeneous MOST. The question of coherence across the movement could represent a very real limit to the government’s ability to take action but, the optimists hope, it will also represent an opportunity for the HDZ to renovate and innovate, in the quest to remain politically relevant. From a regional perspective, the HDZ win has generated a degree of unease with respects to the potential return of traditional nationalisms in the Balkans, particularly in the light of the successes of the Polish Law and Justice party and the Fidesz party in Hungary. Yet, whilst such a consideration may be justified, undoubtedly the most significant revelation of the 2015 electoral round remains the astounding success of the independents and the singular political atmosphere which dominated the ensuing negotiations. From Most, to the Italian Five Star Movement, through to the Spanish Podemos and Ciudadanos, and all the way across the Atlantic to the Bernie Sanders campaign – traditional political parties are being challenged by new actors defining themselves as ‘movements’ rather than parties and contesting the organization of traditional party politics under multiple aspects: their financing tools, their elite status, their rigid partisan understanding of the political game, as well as their lack ( or loss) of moral credibility. The emergence of post-partisan actors, reaping great successes due to protest voting, has been indeed sweeping the continent, potentially facilitated by a rapprochement in the right and left sides of the political spectrum. As programmatic differences fade, entry barriers to the political game are weakened, creating a window of opportunity for the creation of arbitrary movements defined by heterogeneous political background to step in as actors of change in the face of poorly credible political alternatives. An interesting example of the political disorientation affecting European politics, comes in the form of HDZ’s position during the 2015 campaign, vis-à-vis the SDP’s lenient handling of the refugee crisis. At first voicing a loud opposition to the ‘soft ways’ of its opponents, the HDZ quickly changed register as they realized their anti-refugee rhetoric had no popular traction. Interestingly enough, the forceful emergence of protest movements shaking the foundations of the political game in many European countries has been widely portrayed by the media as going hand in hand with the EU crisis and an almost as a direct consequence of populist euroscepticism. Under this point of view, it is perhaps interesting to consider Croatia as an atypical case study. A young and enthusiastic member of the EU, it presents a case where it is almost impossible to hide behind the phantom of euroscepticism – which is virtually non-existent – in order to justify the failure of traditional politics, thus offering grounds to question whether we are in need of a more profound and comprehensive reflection on the state of party politics in Western democracies and the need to develop a post-partisan narrative and understanding of today’s fluid political allegiances. Understanding the new dynamics of political aggregation may well provide a significant piece of the political solution the European project so desperately needs if it is to survive.